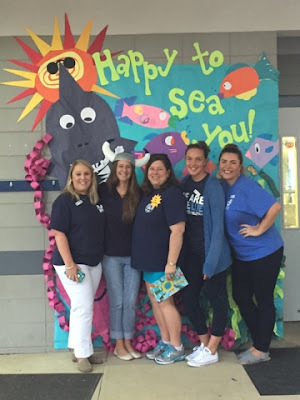 We were challenged with a “Sea” theme for our homecoming week. This is what we came up with as a homeroom. Perks of having Fine Arts Teachers as your homeroom teachers, right? Did we win? Yes, we came in first place. The kids did a great job of putting this together. 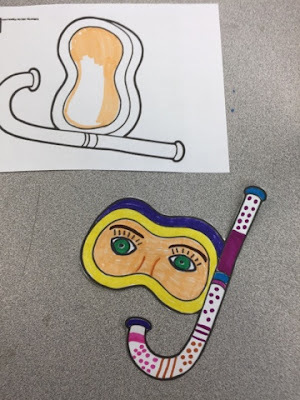 Each student was encouraged to create a snorkel mask and design it how they saw fit. Suppiles were mainly from the scrap box. We used tape and glue to put it all together and I think it turned out really cool! 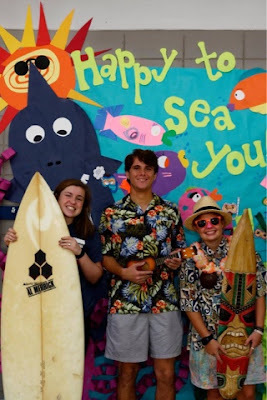 It became a backdrop for Homecoming themed days! 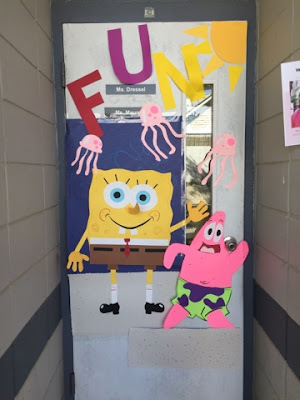 High School Art chose SpongeBob for their underwater themed door! 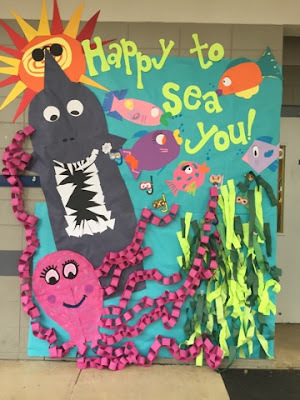 and, yes…I am HAPPY TO SEA YOU DROPPED BY OUT BLOG!